A measure that could begin the process of getting Washington state out of the liquor business was approved by a state Senate panel on Wednesday. The Ways and Means Committee passed Senate Bill 5942, which directs the state to seek private sector proposals for operating the liquor distribution system. The Liquor Control Board would then decide whether to accept such a deal. The full Senate will now consider the idea. 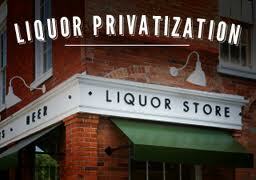 Washington is one of 18 “control states,” places where the government runs the sale and distribution of liquor. Washington has had this system since 1933, and state officials say it results in lower per-capita alcohol consumption and a reliable stream of tax revenue for government.